Airport parking options have changed and expanded. Medium-size and large airports offer several different types of parking, priced according to convenience and distance from the terminal. Short term lots are located near airport terminals. They are convenient, but expensive. Short term parking lots are designed for people who are dropping off and picking up passengers. If you leave your car in a short term lot overnight, you will pay a lot for that convenience. Daily parking lots and garages are more expensive than long term lots, but much less expensive than short term lots. Daily parking lots are usually located a short driving distance from the airport terminal. Typically, airports offer shuttle service from daily parking lots to the terminal if the lots are not next to the terminal building. Long term parking lots, sometimes called satellite parking lots, are usually quite far from the airport. You will have to take a shuttle to the terminal. Rates are considerably lower than short term or daily parking rates. Long term parking is ideal for anyone who needs to leave their car in the lot for several days. Tip: Bring an ice scraper if you park in a long term lot during the winter months. Keep it in your baggage so you can use it if your car is coated in ice when you return. Some airports offer valet parking. This parking service is extremely convenient, but you will pay for that convenience. Expect to pay $6 to $10 per hour for the first two hours. Some airport valet lots do not offer overnight parking. Private parking lots are springing up around many airports in the United States. They generally offer lower rates than the airport's long term parking rate. They also offer shuttle service to and from the airport terminal. Some even wash your car for free while you are away. If you book your parking reservation online, you can save even more money. If you leave your car at home, you will need to find another way to get to and from the airport. Here are some alternatives for you to consider. This is the most convenient – and most expensive – option. Companies such as Uber and Lyft are popular alternatives to taxis in many cities. Rates vary, depending on driving distance from the airport and demand for drivers. Depending on where you live, you may be able to reserve a place on an airport shuttle van or bus. The driver will pick you up and drop you off at home. 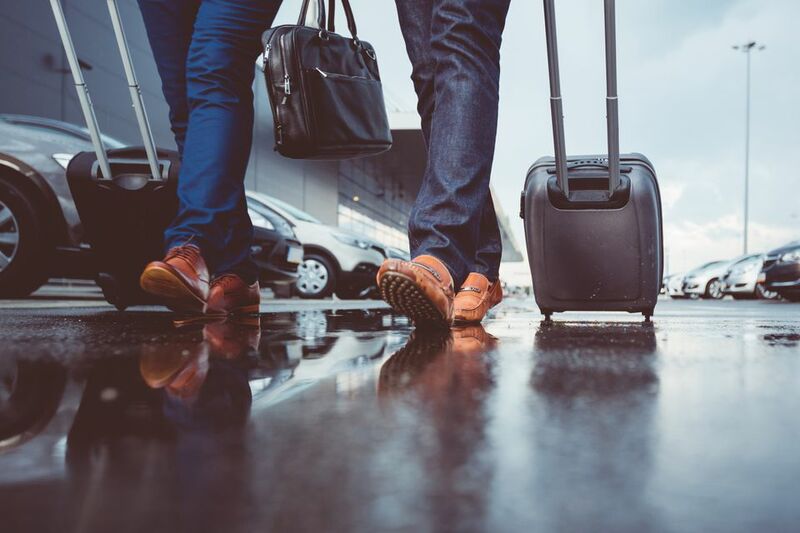 Your driver may need to pick up other passengers, so be sure to allow plenty of extra time to get to the airport. This option may cost almost as much as a taxi if you live close to the airport, but is usually a more economical option if you live far away. Ask a friend or family member to take you to and from the airport. This is usually the least expensive option, because the person picking you up can wait in the airport's cell phone lot for free until you are ready to be picked up. Be sure to reimburse your friend for gas and tolls. If you live near a bus route, light rail line or subway system, you may be able to take public transportation to the airport. This option is usually inexpensive, but may take longer than driving. Allow extra time for traffic delays and changing buses or trains. If you know exactly when you need to be at the airport, consider reserving your parking spot in advance. Hang on to your parking ticket. If you lose your ticket, you could pay a penalty to get your car out of the parking lot. Lock your car and keep the keys with you. Do not leave valuables or chargers in plain sight. Do not try to deceive the parking lot cashier. Be honest about how long your car has been in the lot. Even if you have lost your ticket, the airport parking staff will know how long your car has been in the parking lot or garage, thanks to the airport's revenue control system. If your car will not start, ask a parking lot cashier to call a supervisor. Many airports offer jump start service to parking lot patrons. Some even authorize parking lot employees to help chip ice off your car or inflate flat tires. Allow plenty of extra time to park if you are traveling during the holiday season. Airport garages and parking lots fill quickly during busy vacation periods.